For dancing in heels, Quigley (right) prefers high boots. Teachers share the philosophies and materials that make them successful in their careers and classes. You’d think a “Stiletto Heels” class would be excruciatingly painful. Surely spending an hour or more in a pair of sky-high heels, performing Beyoncé-esque choreography full-out can’t feel good. 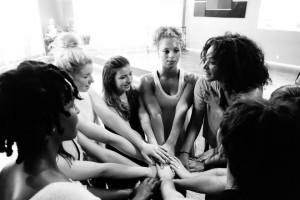 And yet, New York City–based instructor Shirlene Quigley says her classes are all about comfort. Quigley, who has danced for Beyoncé, Rihanna, Missy Elliott and Chris Brown, wants her students at Broadway Dance Center and Peridance—mostly females 16 or older—to feel good physically and emotionally during her classes. That means not just finding shoes that will help them dance their best (Quigley recommends tight, thigh-high boots for ankle support and stability), but also creating a classroom environment where the dancers aren’t worried about performing overly sexual or suggestive choreography just because they’re dancing in high heels. High heels of choice: For her preferred thigh-high boots, Quigley isn’t picky about brand or style as long as she can move in them. She says she likes to visit DSW or Payless and dance around in them to see what she likes best. What she never leaves home without: heels, water, body spray and lip gloss. MJ and his ghouls have been thrilling fans for three decades! In 1983, “Michael Jackson’s Thriller” made its debut. 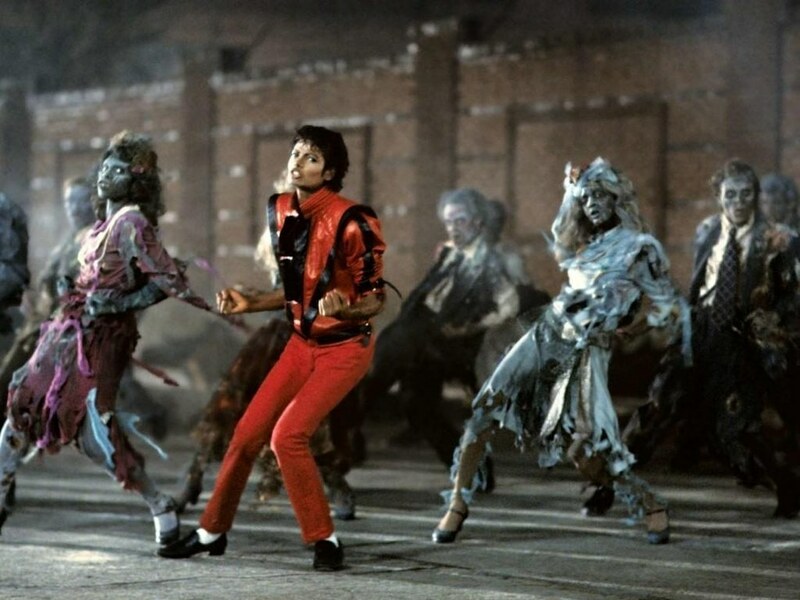 The John Landis–directed music video features plenty of zombie gore and special effects—including M.J. morphing into a werewolf—as well as the iconic dino-armed undead dance break, co-choreographed by Jackson and Michael Peters. The anniversary makes this year’s Thrill the World (TTW) dance event particularly exciting, as groups of dancers from six continents prepare to perform “Thriller” at the same time. The Halloween-themed event was first organized in Toronto in 2006 and has grown steadily since then, each year a new world-record attempt. TTW’s 2013 registration page lists participants in Australia, Austria, China, Canada, England, Finland, Germany, Ireland, Japan, New Zealand, Philippines, Rwanda, Scotland, Turkey, Venezuela, Wales and 33 U.S. states. 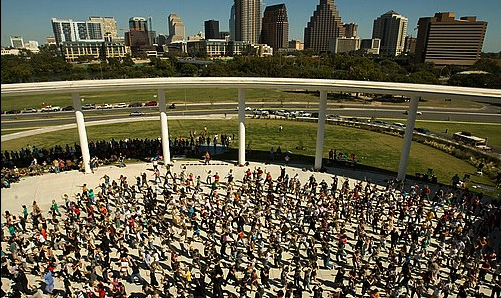 Thrill the World had a huge turnout in Austin, TX, in 2008. This year’s event will take place tomorrow, Saturday October 26, at 9 pm Greenwich Mean Time, 5 pm Eastern. Participants worldwide can tune in to TTW’s official online radio station to make sure they start perfectly in sync, down to the 5, 6, 7, 8. Visit thrilltheworld.com/world-wide-dance-locations to find a performance in your area.